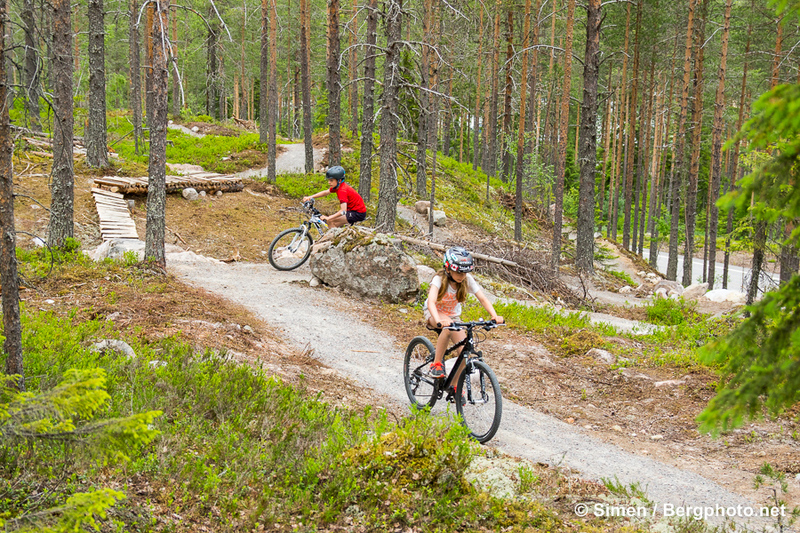 Already in their first year of operation (2015), Trysil is the number one place for singletrack mountainbiking on all levels in Scandinavia. Hopefully the leading star that will inspire the rest of the destinations around. 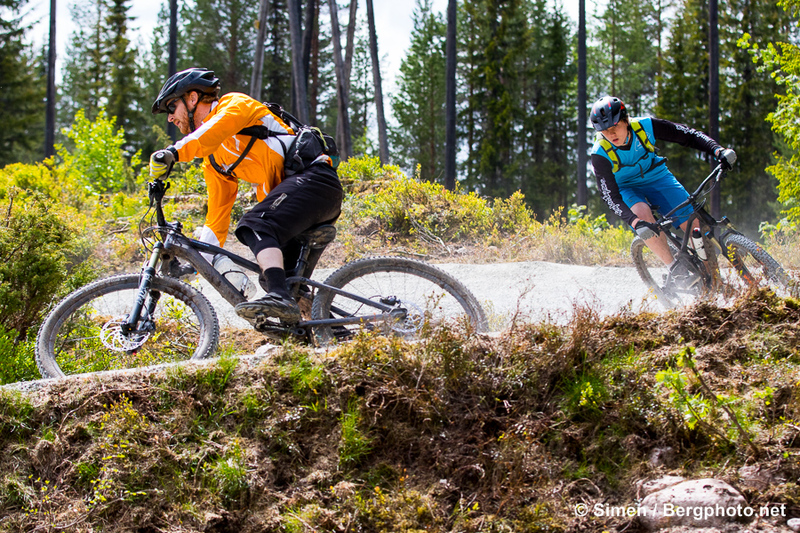 In developing and designing an MTB product from scratch, Trysil does it by the book. And they need to. 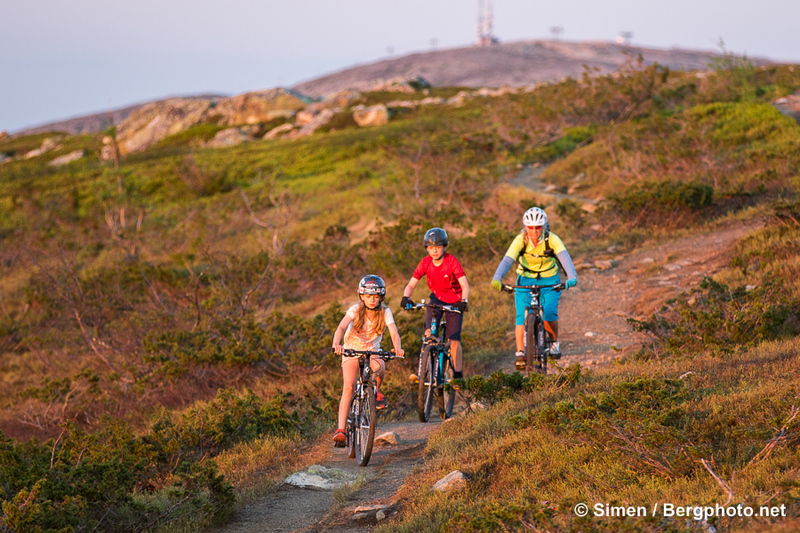 By 2020 they want to grow the number of summer visits (overnight stays) from 70 000 to 200 000. 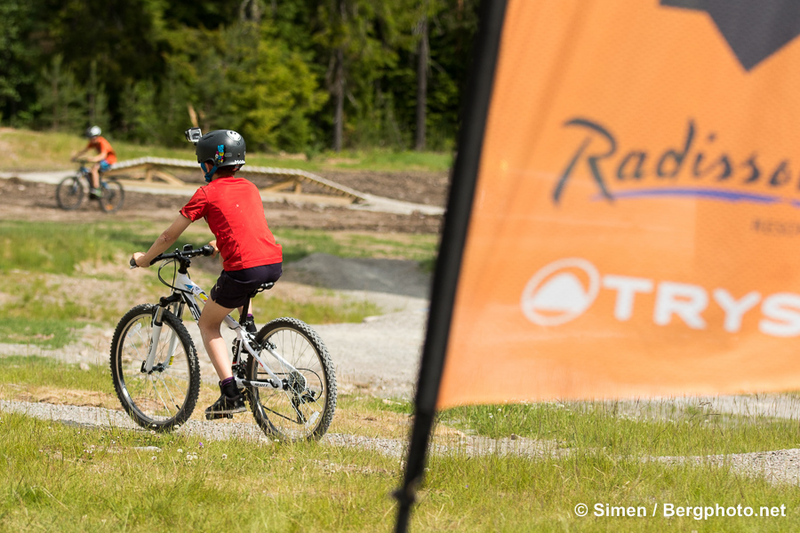 Trysil Bike Arena aims at the singletrack mountainbikers, and already offers a well designed skills course and a green/blue 10 km trail in the Gullia. 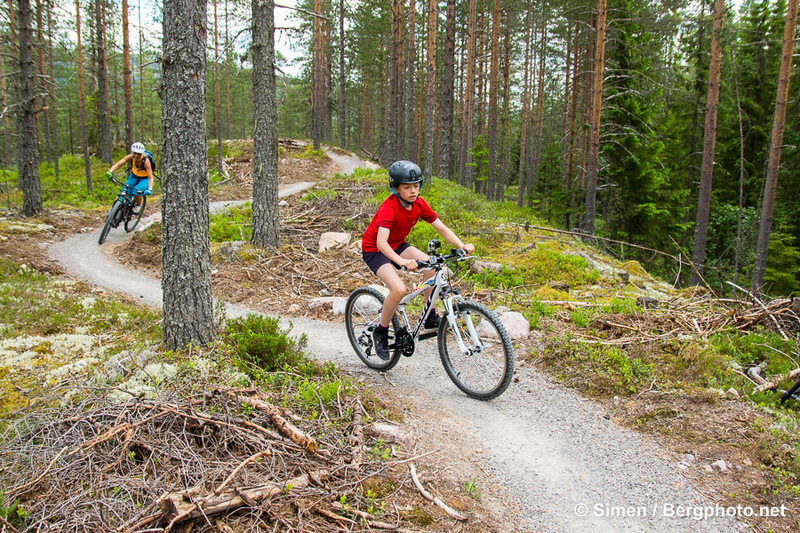 Add to that the typical Norwegian network of natural trails that are looked after, easy to find because of the signs and already on the Bike Trail Map. 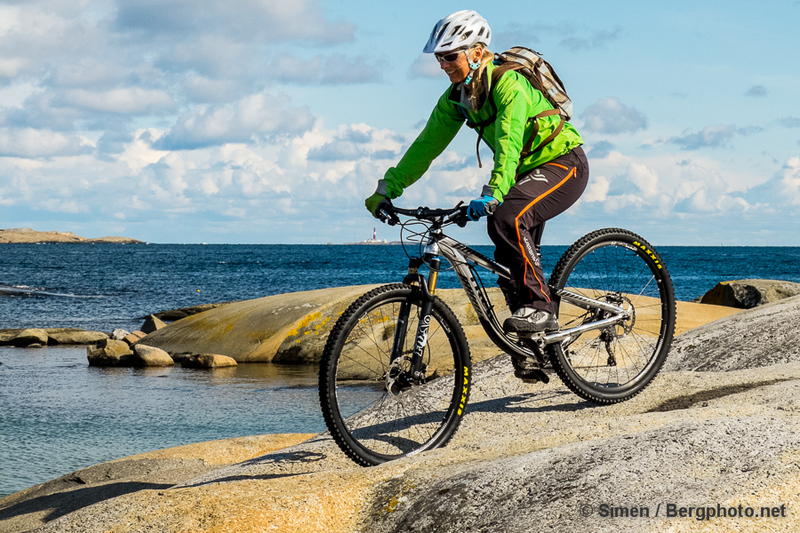 Not to mention biker friendly accommodation and excellent guides who also teach skills on the way. 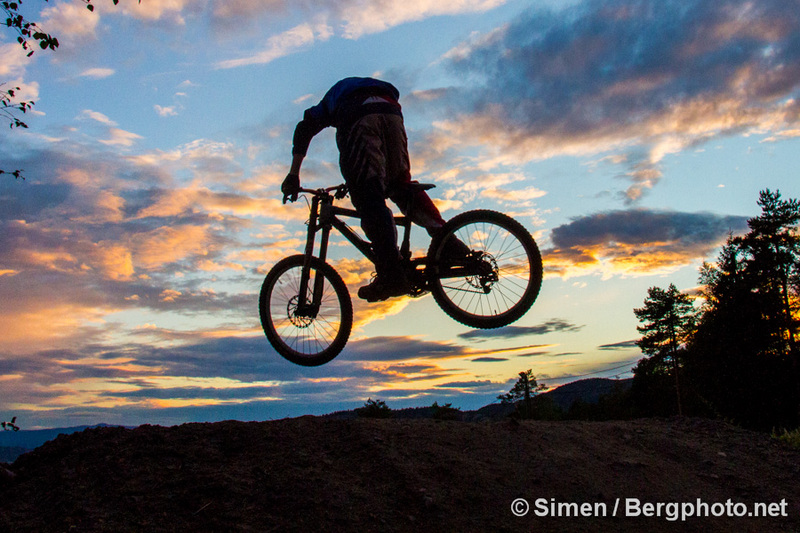 And there it is – Scandinavias leading mountainbike resort. 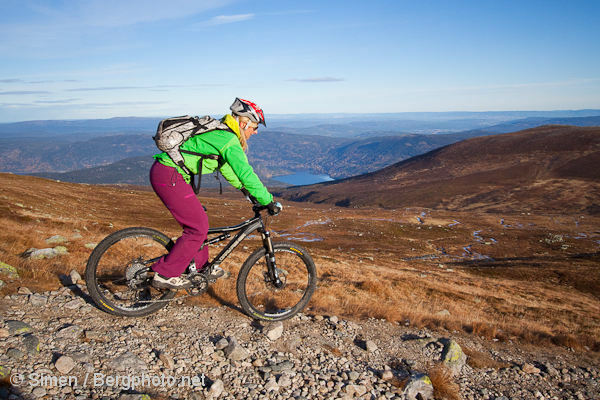 Downhill biking in Trysil? Not yet. For now, the lift runs on Saturday and Sunday. 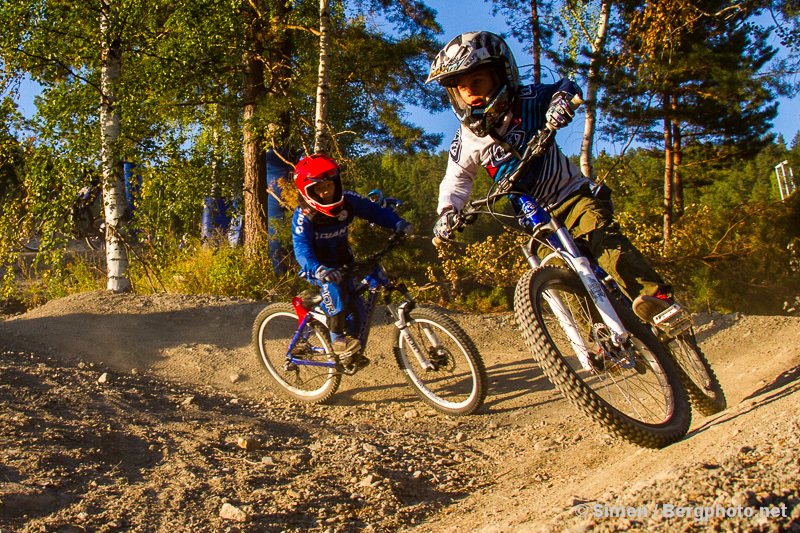 But the downhill trails aren’t worth going there for. At this time. 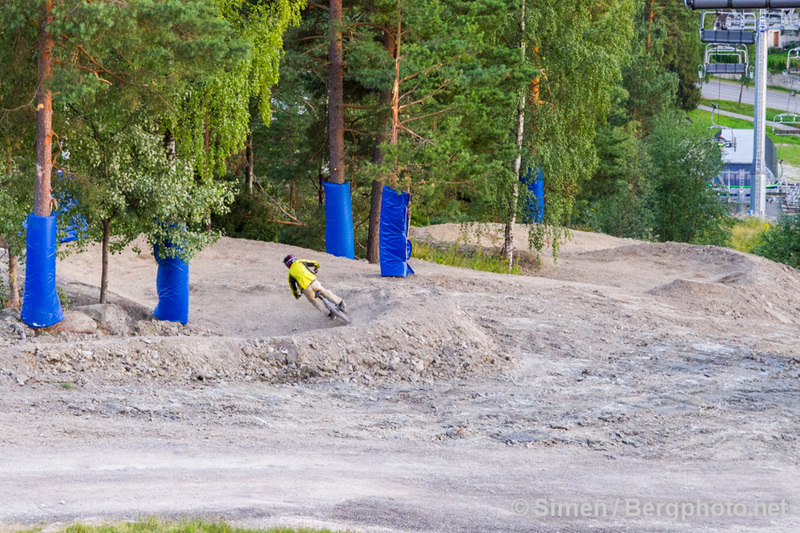 Already this fall (2015), they will start building a blue flow trail aimed at trail bikes. 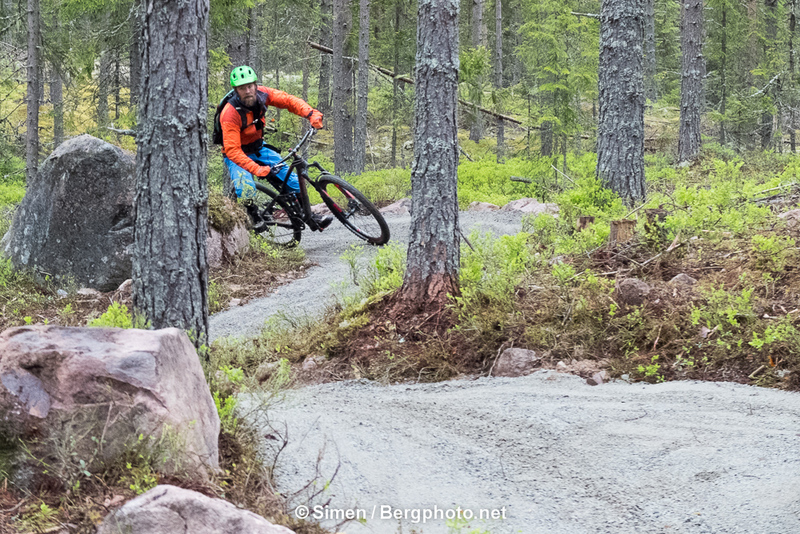 When opening in 2016, it will be an important addition to the red, handbuilt trail that is there now. 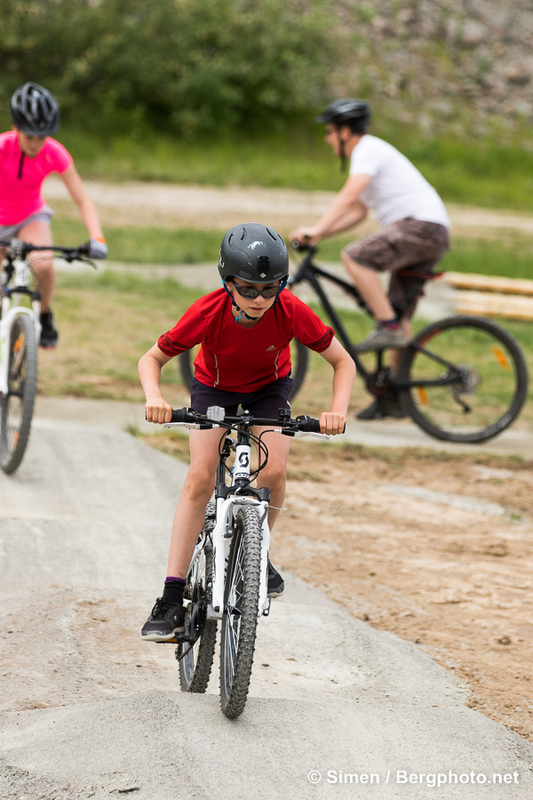 The 26/28 trail might be OK for some beginners, but experienced riders will not be doing laps there. 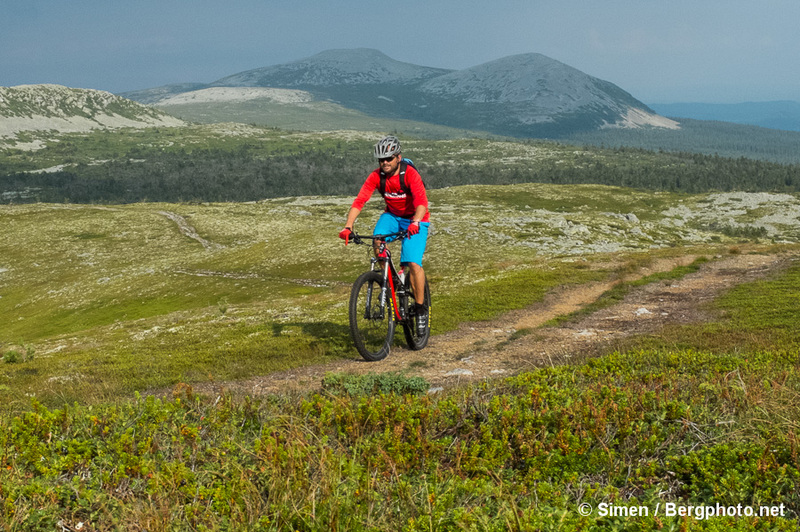 Sometime in the future there will be more challenging lift served trails, but it’s not a priority. 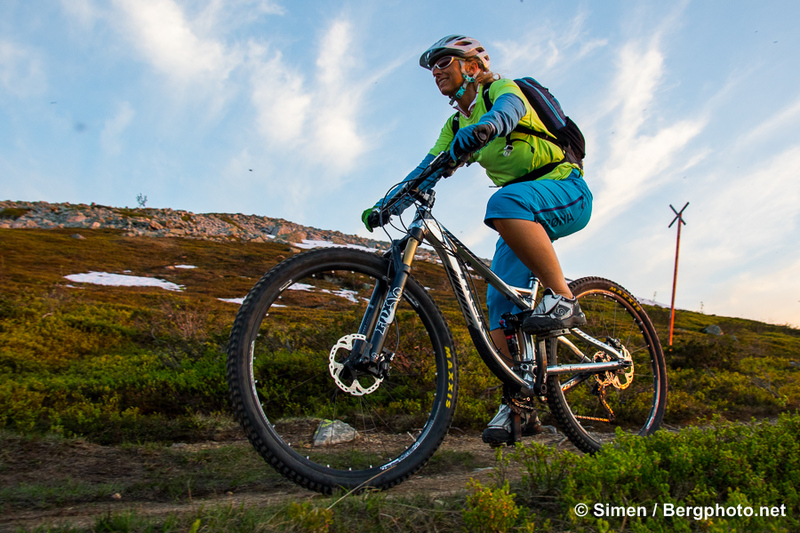 For now, Sälen/Lindvallen and Gesundaberget and Hafjell are the nearest options for big bikes right now. The Gullia area opened in June 2015, with the blue trail. The green start of it is not yet ready, but will be shortly. 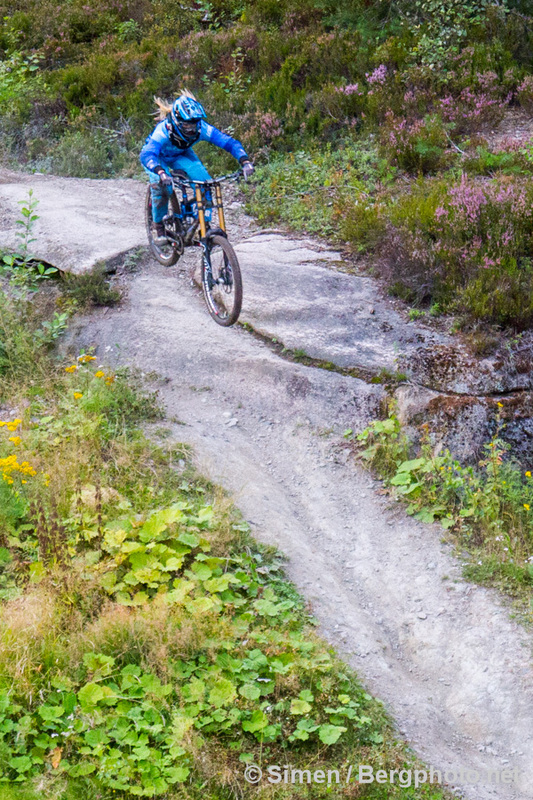 The machine built flow trail is wide, with a gravel top layer. 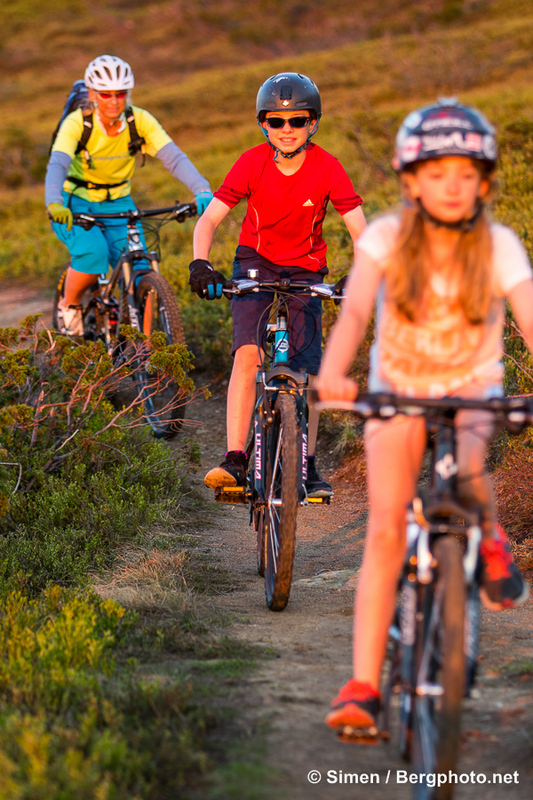 Winding through the landscape like a rollercoaster, this is fun on any mountainbike, at any age, and at any skill level. And suspension is not required at all. 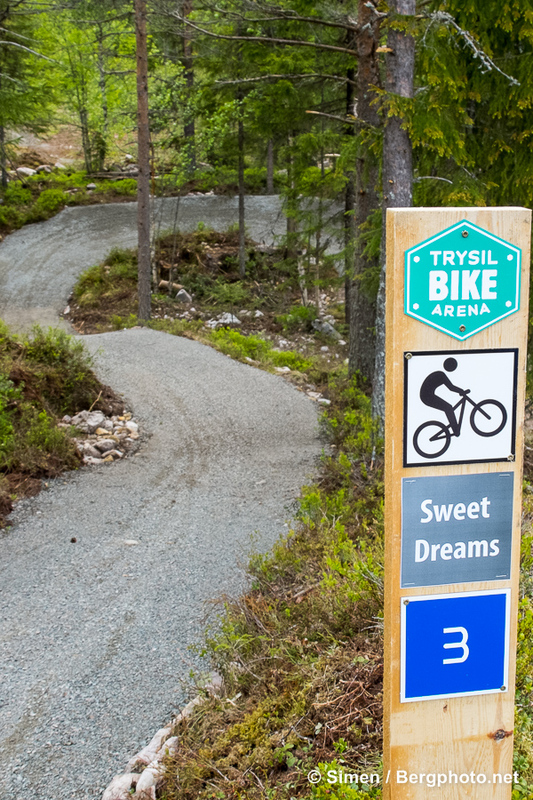 Sweet Dreams is the favorite section, with no pedalling needed. 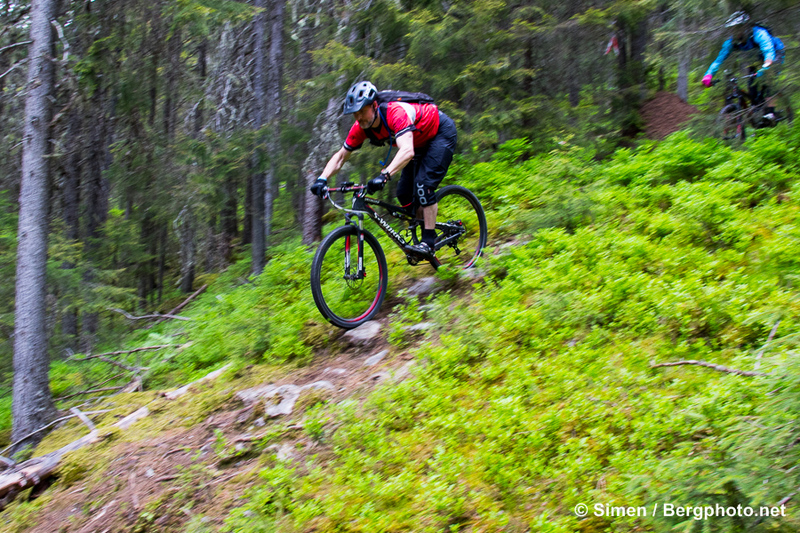 Even the following climb is fun. This area will see more trails in the future. 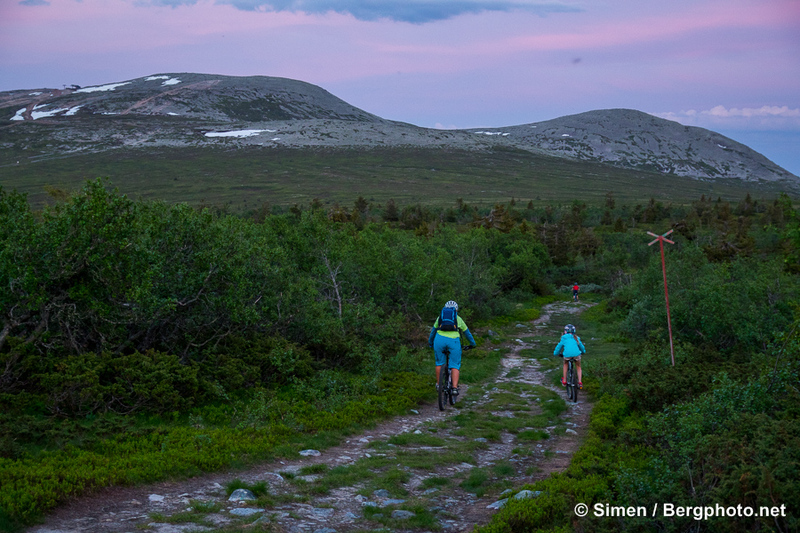 Like anywhere in Norway, there’s also a vast number of natural trails around Trysil. 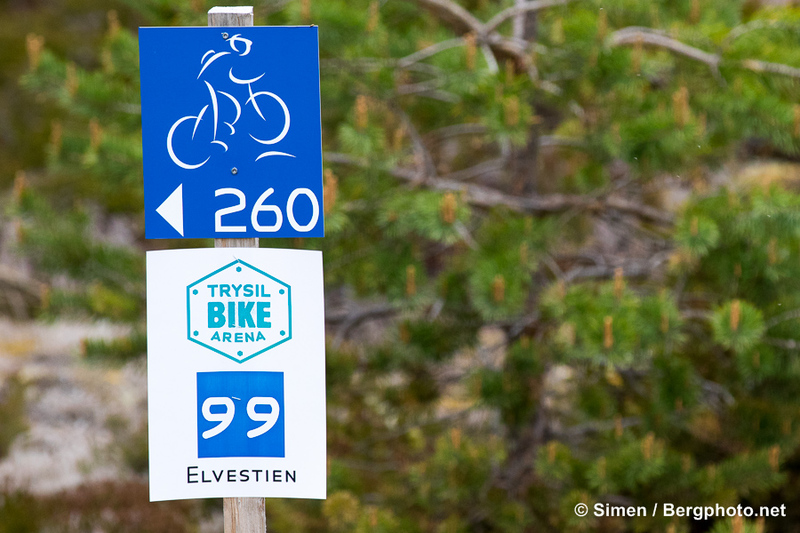 And it varies from Elvestien and Pilegrimsleden on the valley floor, to steeper runs like Grimsåsen, Fugleberget and Ørådalen, and up above the tree line from the top of the lift or starting from Fageråsen to do the Trysilrypa trail. 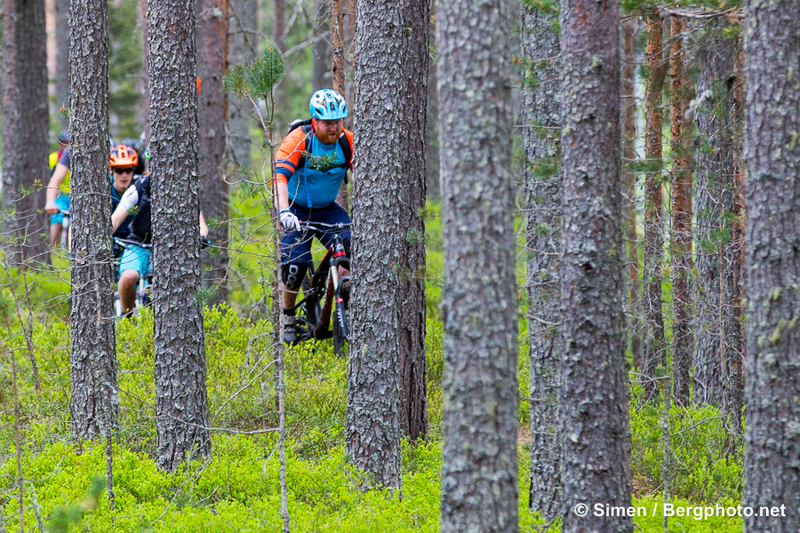 To have a full day on easy trails, you can go by car across the Swedish border to Rörbäcksnäs. 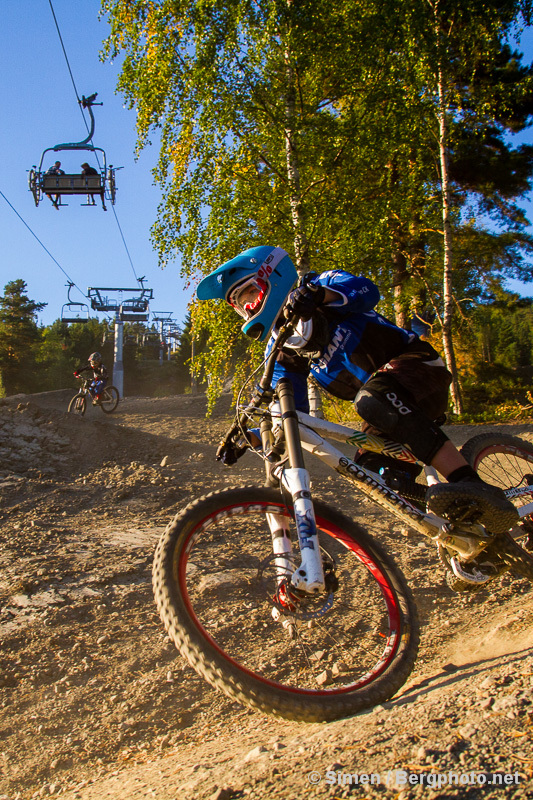 As most other things, even eating happens at Radisson Blu Resort Trysil. In addition to the good Italian pizza, they have an a la carte restaurant. 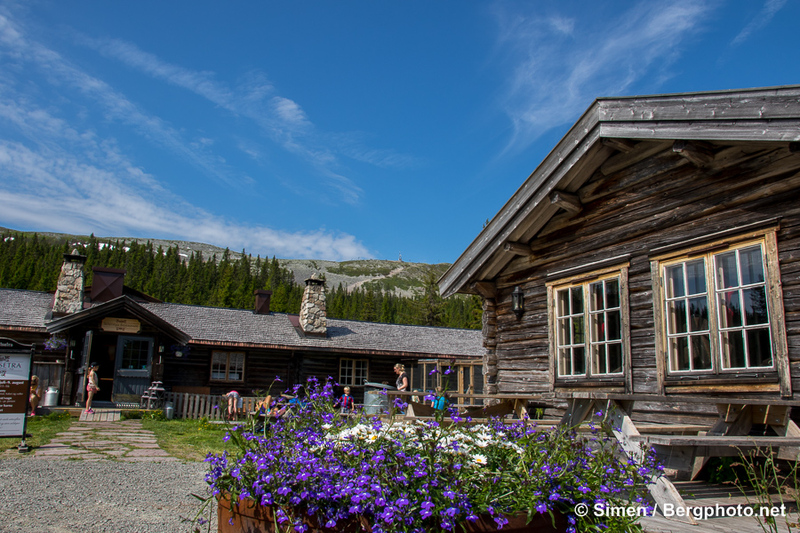 On the Trysil main street, I would recommend Cafe Rialto for a double cortado and whatever you need for the next trail. 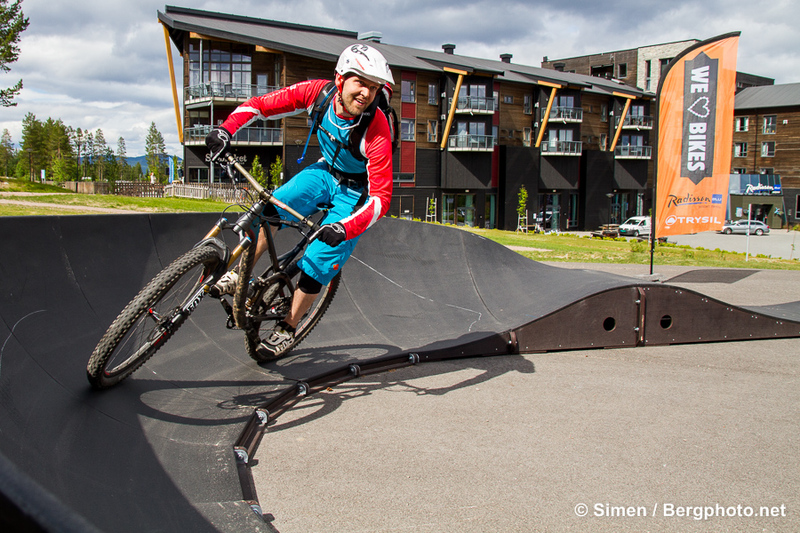 In my opinion, Radisson Blu Resort Trysil is Norway’s best year round resort hotel for active people. By far. Great location, nice rooms, good food, a variety of activities, like pools, indoor surfwave (video below) and bowling. They offer spa treatments and have a sports shop. And last, but not least, a really friendly and solution oriented staff. Each and every one whom I throw a curve ball every now and then seem to work anything out. Unfortunately that’s rare in this business in Norway. 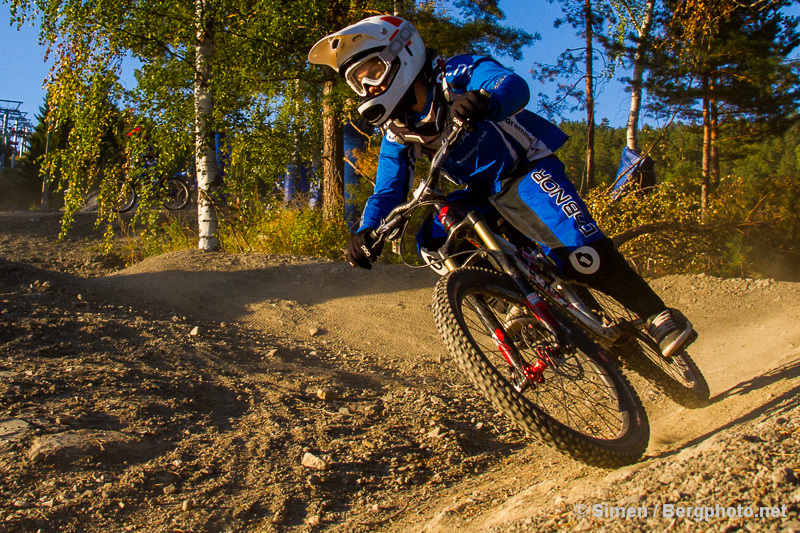 Go to the Sport Lodge’n at Radisson Blu, they have hard tail and full suspension bikes for rent. The same goes for Sentrum Sport down town. Freshen up your shirts and shorts at the Sweet Protection HQ outlet down town. 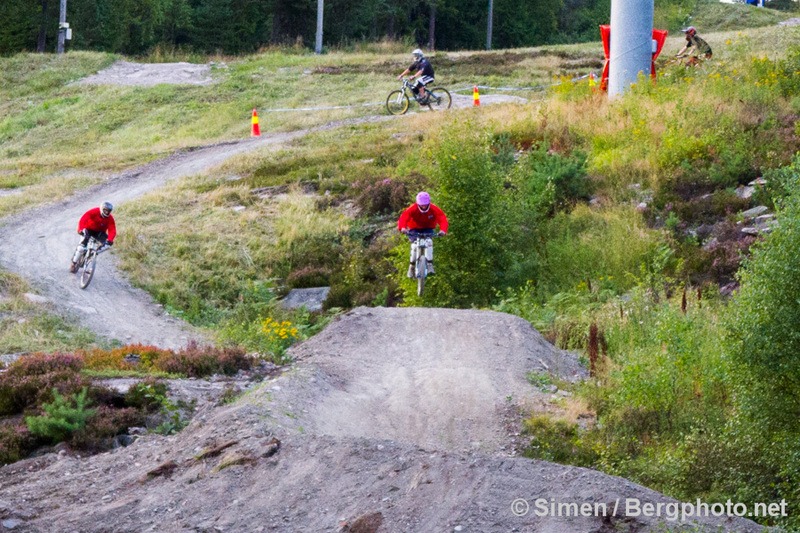 If you’re already travelling far, Hafjell Bike Park is a must, so are Swedish Åre Bike Park and Järvsö Bergscykelpark. 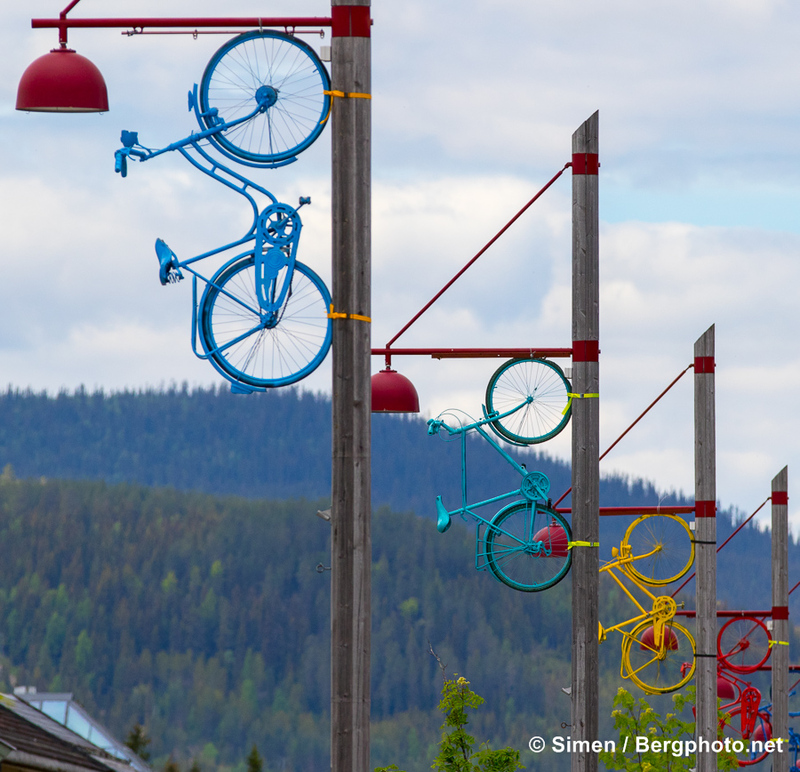 You might also want to check out Drammen Skisenter/Aronsløypa half an hour west of Oslo. 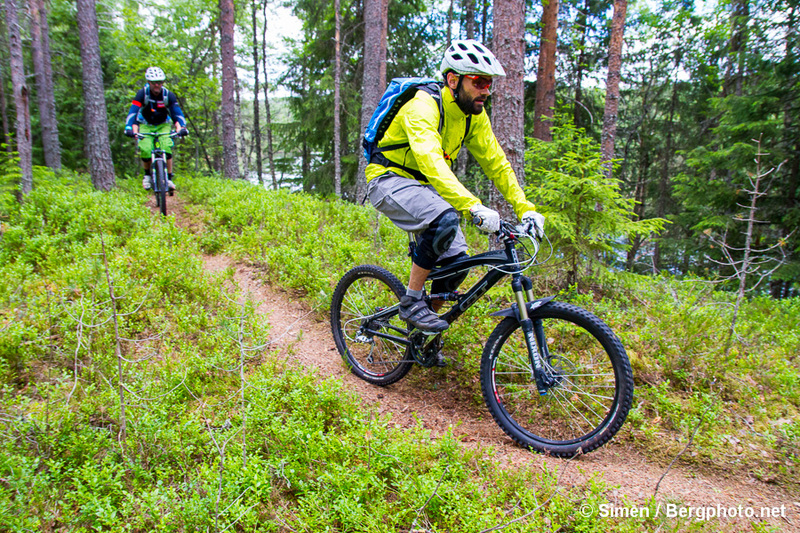 Radisson Blu Resort Trysil is Norway’s best year round resort hotel for active people. They have an indoor FlowRider surf wave that is a lot of fun. 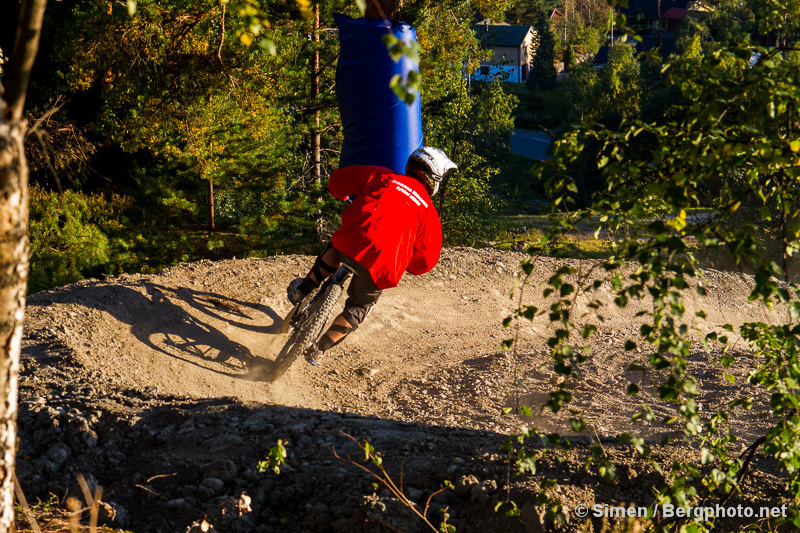 Sigurd Warren Kristiansen has some tricks up his sleeve. 36 kilometer på smalsti, med svaberg, skog, utsikt og flytpartier. Denne turen egner seg like godt nordover som sydover. På grunn av nærheten til sjøen er spesielt Tjøme normalt godt egna for piggfri sykling hele vinteren igjennom. Siden innbyggertallet på Tjøme femdobles i sommerferien, anbefales turen først og fremst fra september til april. Lengden er 33 til 37 km avhengig av rutevalg, med omtrent 500-700 høydemeter ifølge Strava. Det tar fra tre til sju timer avhengig av form og brekkasje på folk og utstyr. Før: På veien til Verdens ende passerer man helt syd på Nøtterøy Kiwi (inntil veien i Kjøpmannskjær i Vrengensundet). Statoil ved hovedveien i Tjøme sentrum er siste sted for bunkring. Sikkert også det greieste stedet for drikkevann også, selv om det er et servicebygg på Verdens ende (v/gjestehavna). Under: Man passerer Rimi på Tjøme etter en drøy time, altså er det et egna sted for en teknisk hvil og bunkring. I Vrengensundet ligger 8 glass (åpent i sommerferien, sånn cirka) snublende nær ruta på Tjøme-sida. Kiwi Kjøpmannskjær ligger jo heller ikke så langt borte fra ruta hvis man er desperat. I Vestskogen passeres Statoil/Kiwi i Kjernåsveien, men da er det kort vei igjen til Slottsfjellet og Tønsberg Brygge. Etter: Havariet på Tønsberg Brygge og Roar i Bua er fine steder å få seg en matbit. Langs ruta er det alltid kort vei til nærmeste bilvei, og nummeret til taxi er 33301111. Men det hjelper å vite hvor du er hvis noe skulle skje. Så husk fullada telefon! Der har du selvsagt installert nød-appen til Norsk Luftambulanse. Jeg bruker oftest Navida-appen, som har gode kart og kan vise min posisjon. 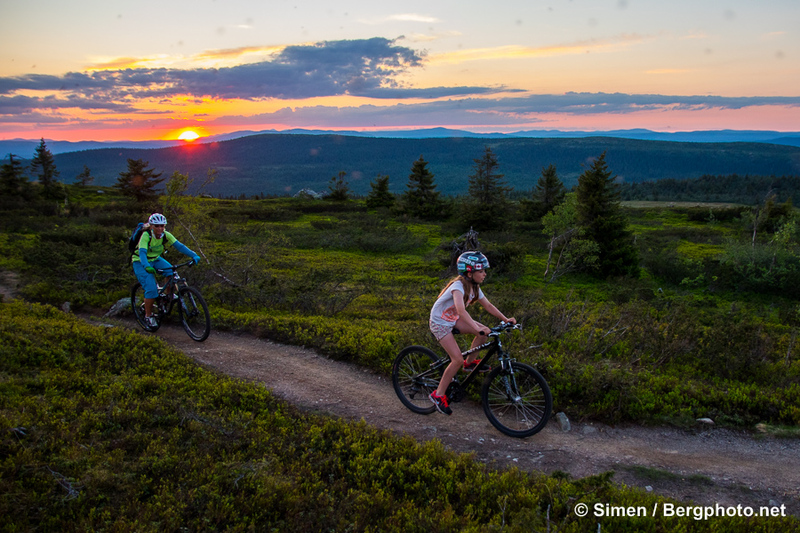 I nettleseren er mtbmap.no sjukt bra, i tillegg til egen posisjon kan den også vise lag med Strava-heatmap (som blir bedre den dagen vi kan skille på MTB og Road). 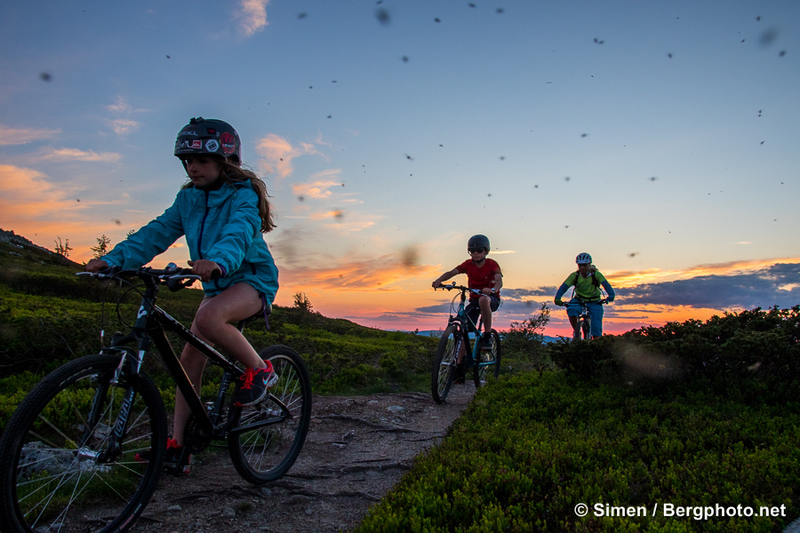 Hva skal du ha i sykkelsekken? Ekstra slange(r), lappesaker, pumpe, kjedekutter, tørt skift, gjerne en varm jakke, førstehjelpskit, kontanter til villkiosken i Tokeneskilen, fullada mobil. 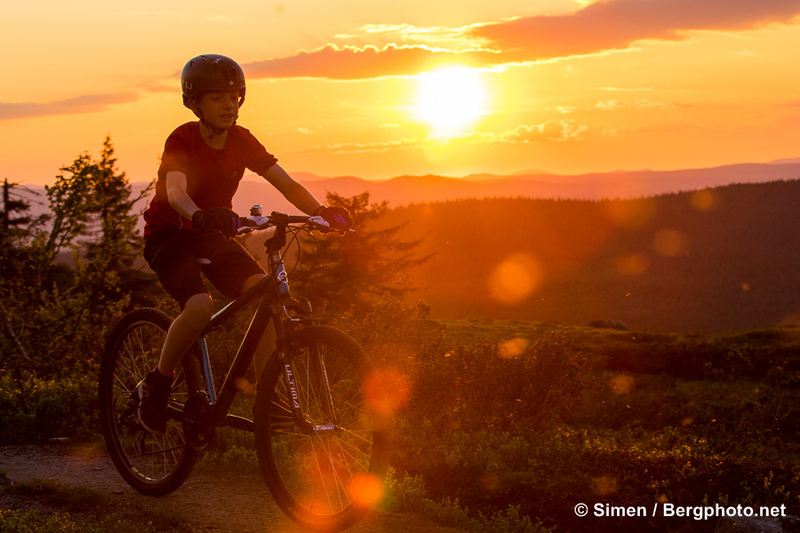 Hva slags sykkel egner seg best? 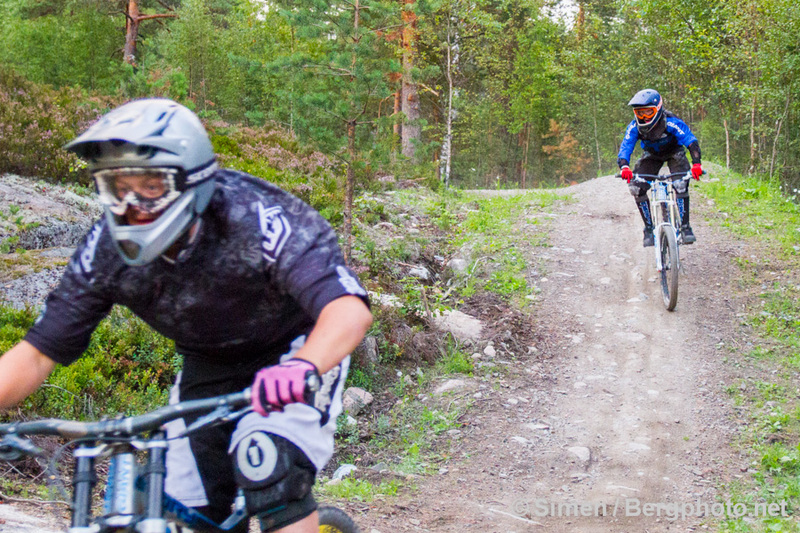 Fulldempa stisykkel med 100 til 130 mm vandring er best. 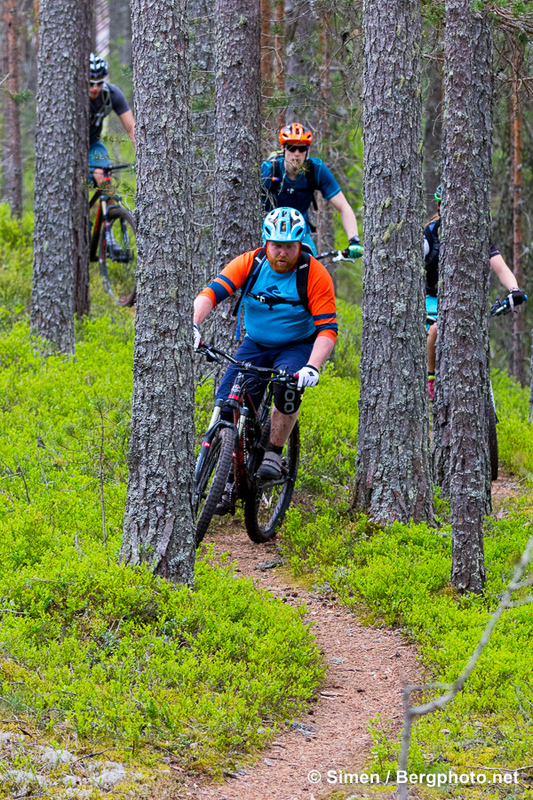 Men det går finfint på hardtail også. Dekkvalg er en smakssak. Her er det alt fra sva og stein til jordbunn og røtter. 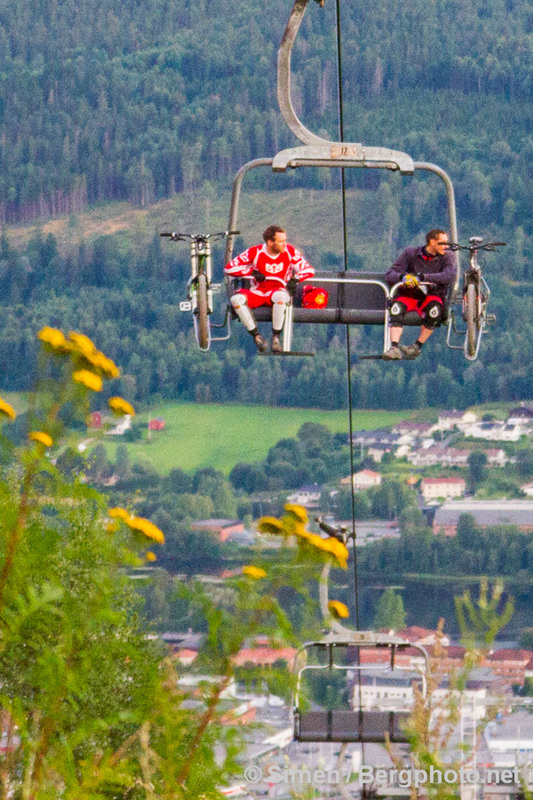 For de som ikke sykler tur/retur fungerer bussing rimelig greit. Vis hensyn til fotturister, de skal passeres med maksimal avstand, og hvis du ikke stopper opp for å la de gå først, skal du maks ha gangfart. OK?! Og låsing av bakhjul i nedkjøringer er ikke akseptert, og straffes som alltid med dårlig karma resten av livet. Det er FORBUDT å sykle i Moutmarka, som er en del av Færder Nasjonalpark. Så der må du eventuelt trille sykkelen. For øvrig gjelder som alltid vanlig høflighet/folkeskikk, Kardemommeloven og NOTS’ stivettregler. 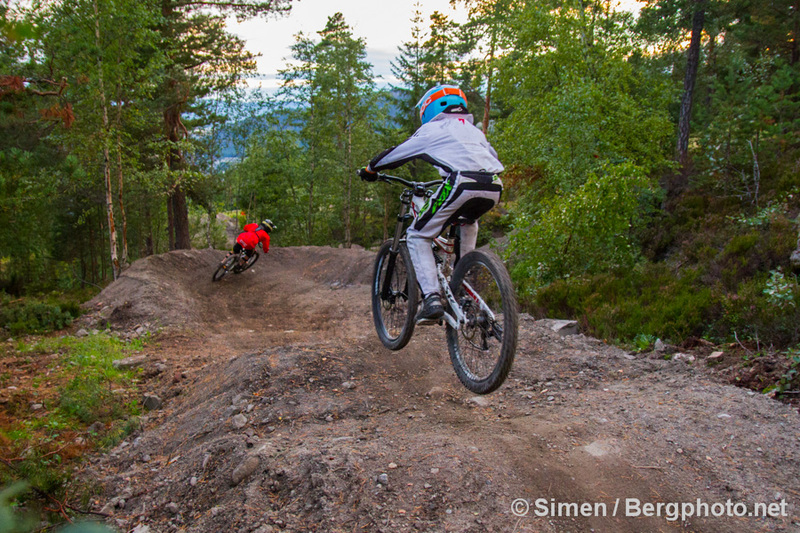 With a mix of man made and natural trails, Drammen Skisenter, has something for everyone. 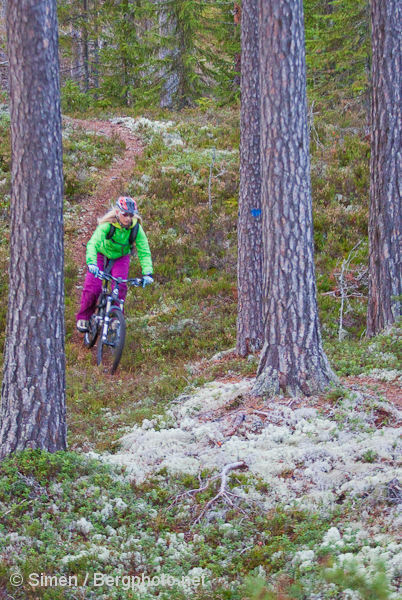 Including a network of top notch singletrack from the top of the lift. 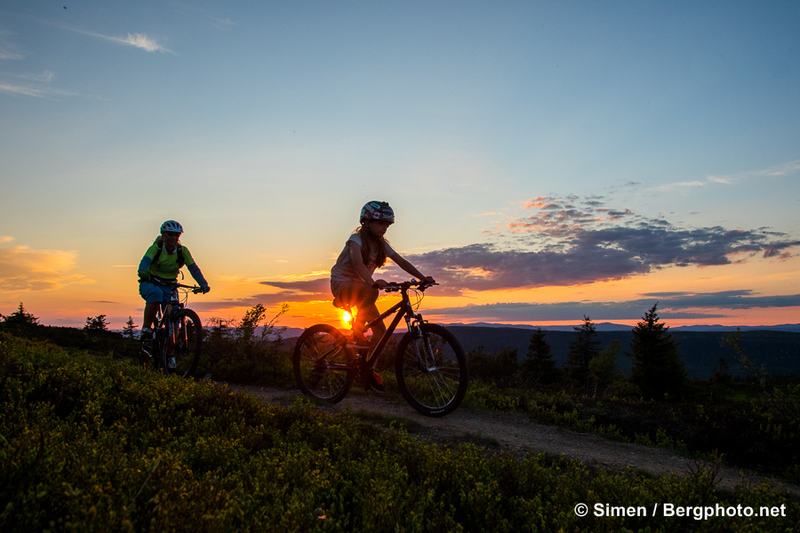 Normally called “Aronsløypa” by the locals, this urban hill is easily within range from Oslo, just 30 minutes away. A lot has changed from my first visit in 2006. In a good way. 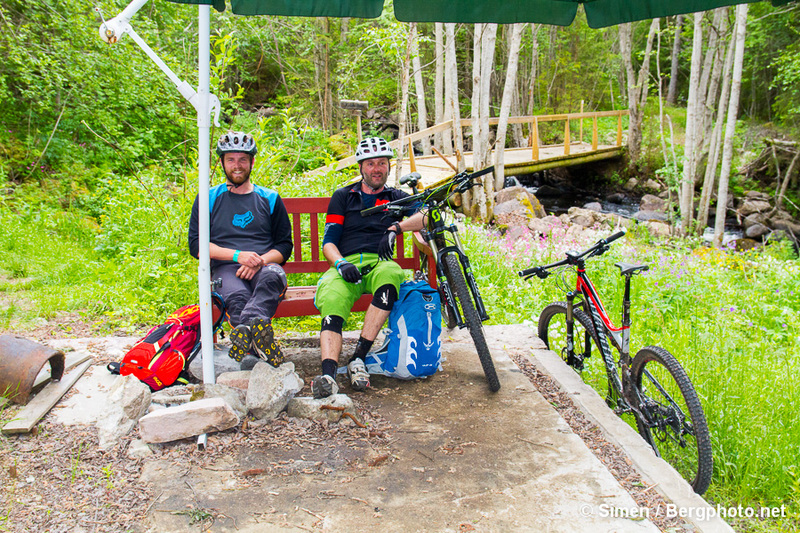 Fortunately, the awesome locals and hosts Erik and Guri are still around. 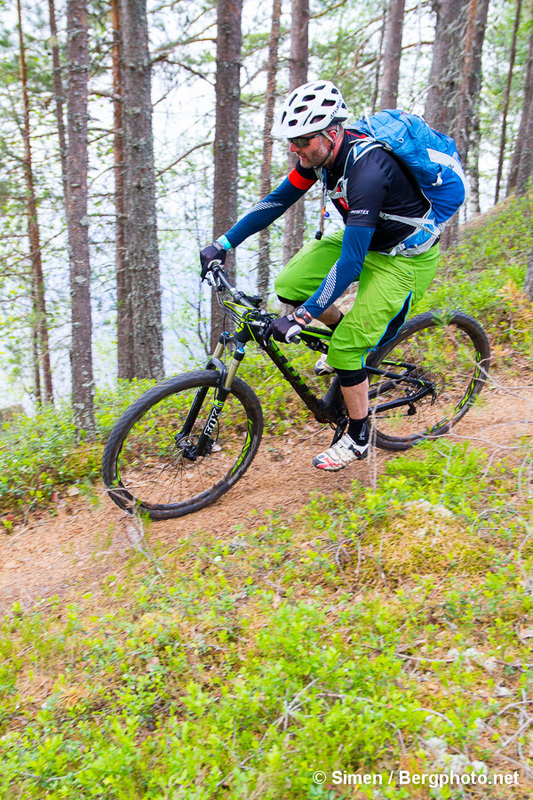 Flyt is the easy trail that y0u easily could ride on your hardtail. 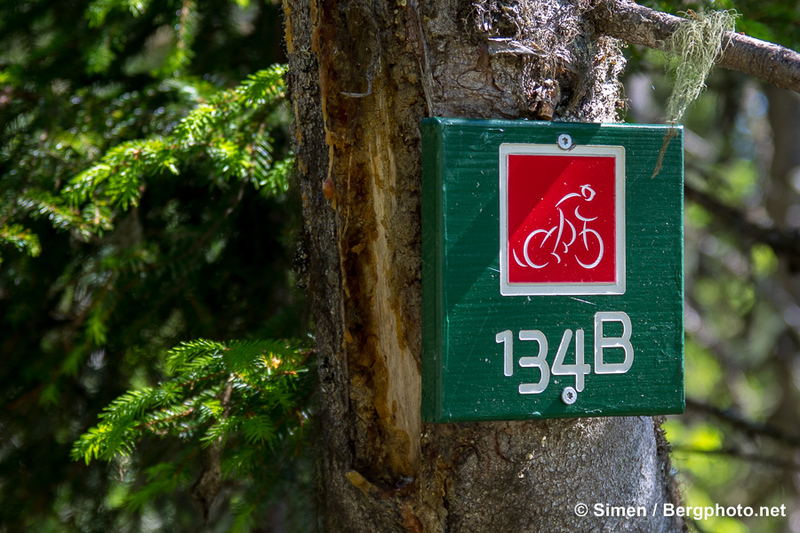 The “113” trail has a few wooden features, and ,as the name implies, it requires a more dedicated riding style, with drops and gaps. Not too hard, but still not for beginners. On the easier note, you have Bollestien and Hennings. The first one fairly straight in the fall line along Kjøsterudjuvet, the latter less steep and a lot longer. 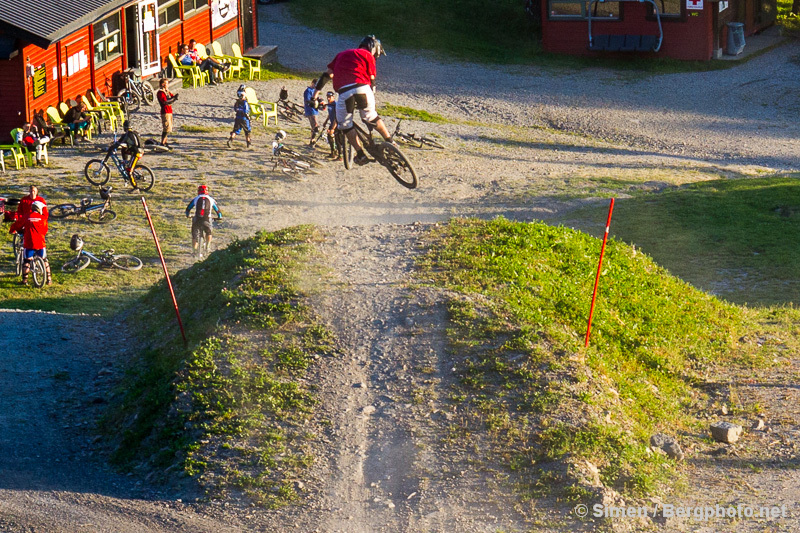 From Flyt, you can mix it up with sections from NM-løypa. 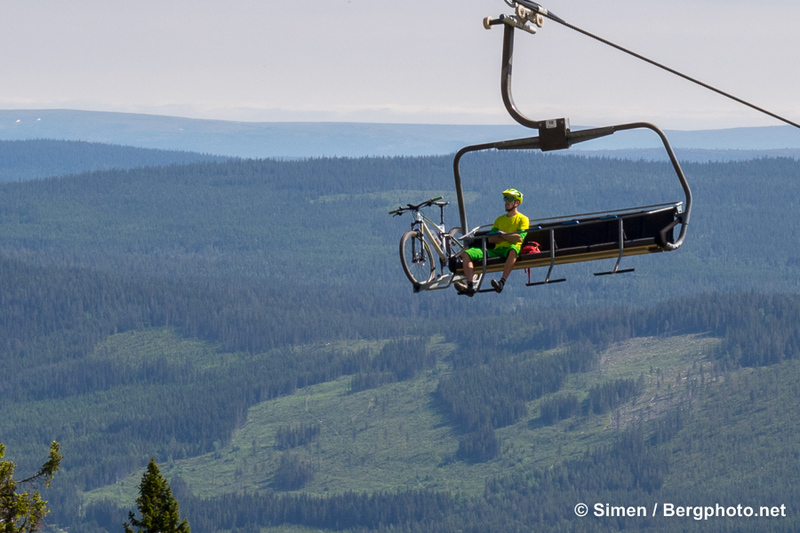 From the top of the lift, you can access an enormous trail network, that will keep you smiling. A lot. And everytime you think back. 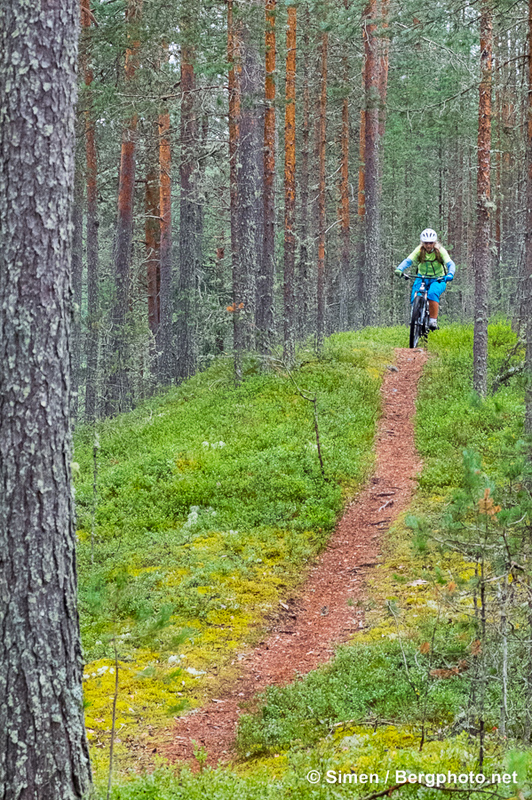 With a mixture of slickrock and dense forest, the trails are smooth and flowy. 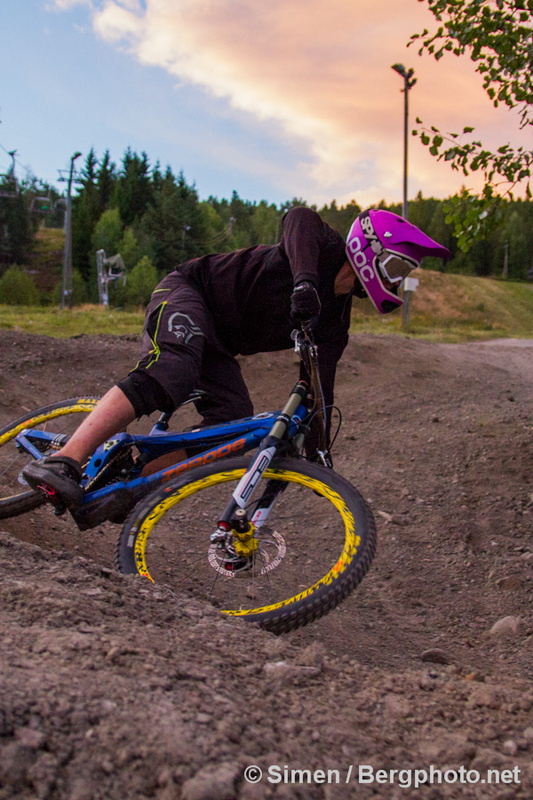 The hillside is littered with trails, so with a full suspension trail bike, you can do lift supported runs all day. 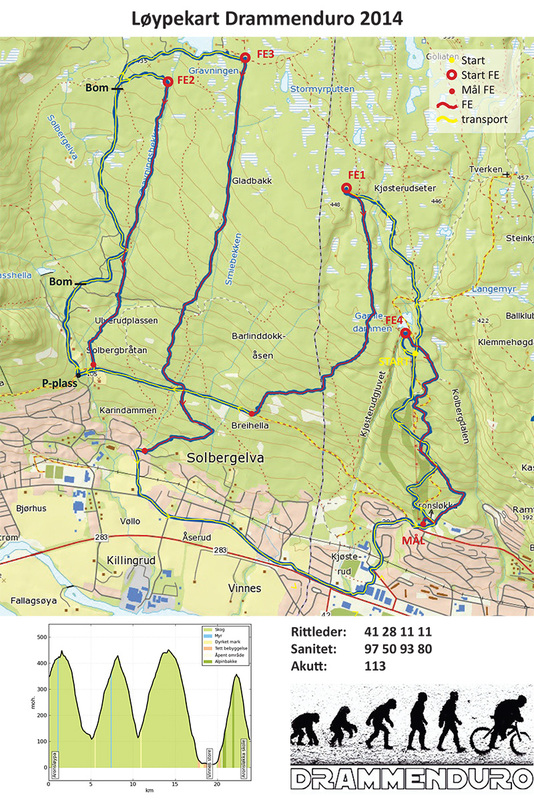 Or just do longer rides on the plateau and finish with some of the special stages from the DrammeEnduro that left grown men giggling (see map below). Here’s the machine built Flyt, second by second. Here’s one of my favorites, Bollestien. Full run, second by second. TBE singletrack run, second by second. 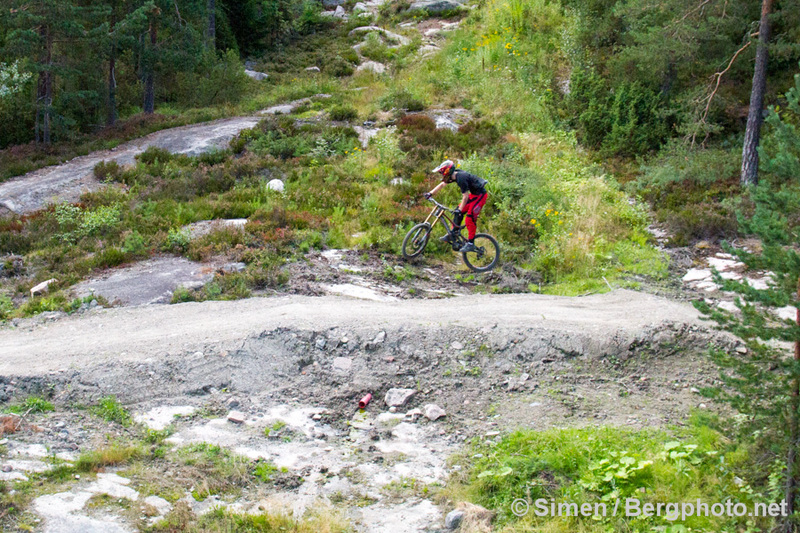 Not an official part of the bike park, but it gives you an idea of the terrain. 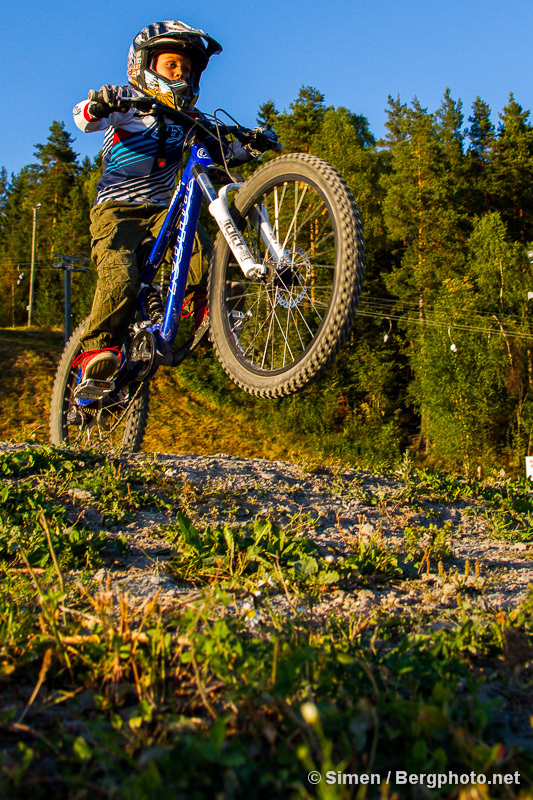 If you’re already travelling far, Hafjell Bike Park is a must, so are Swedish Åre Bike Park and Järvsö Bergscykelpark. 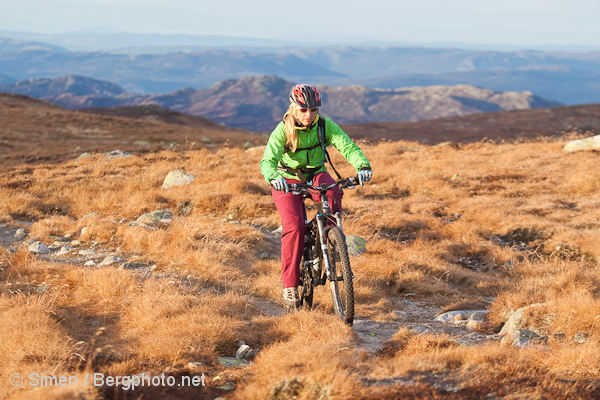 Only 1.5 hours by car from Oslo, you can do one of Norway’s most amazing All Mountain rides on your mountainbike. 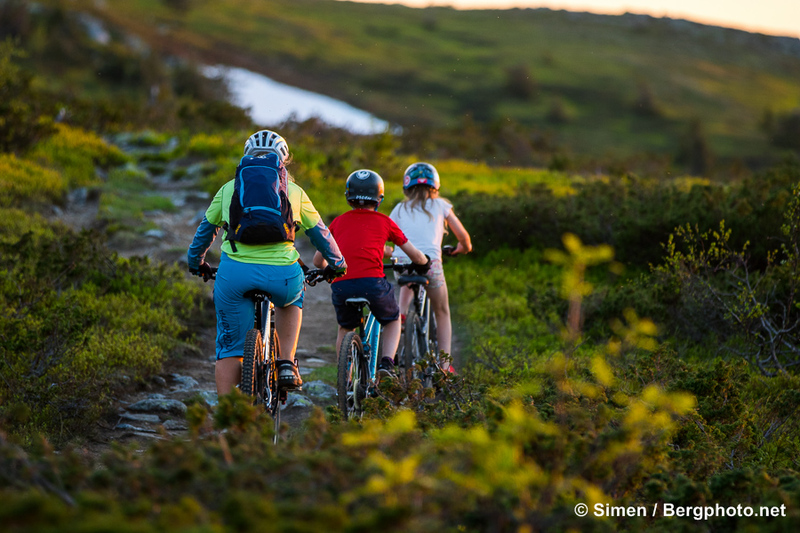 The climb starts at approximately 800 meters (from the tree line), and follows a truly biker-friendly DNT trail to Høgevarde (peak at 1459m, DNT-hut at 1400m). 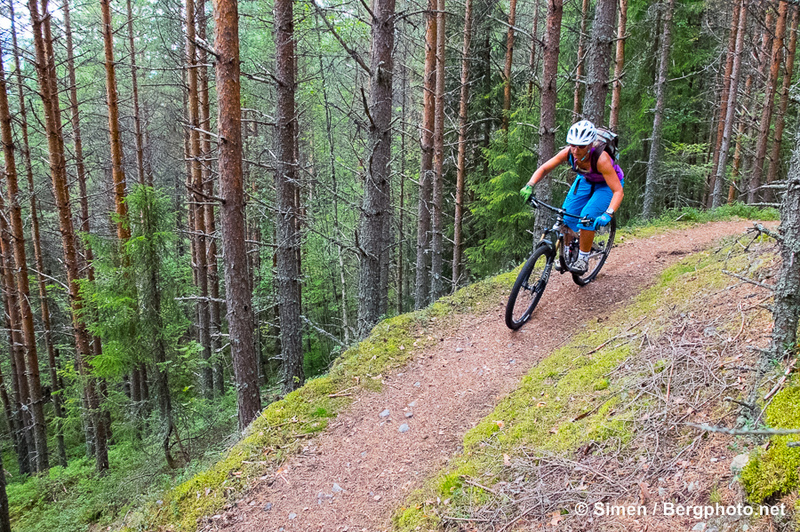 If you go back down all the way to Krøderen Lake (132m), you’ll have one of the most majestic singletrack/doubletrack runs you can find in Norway. 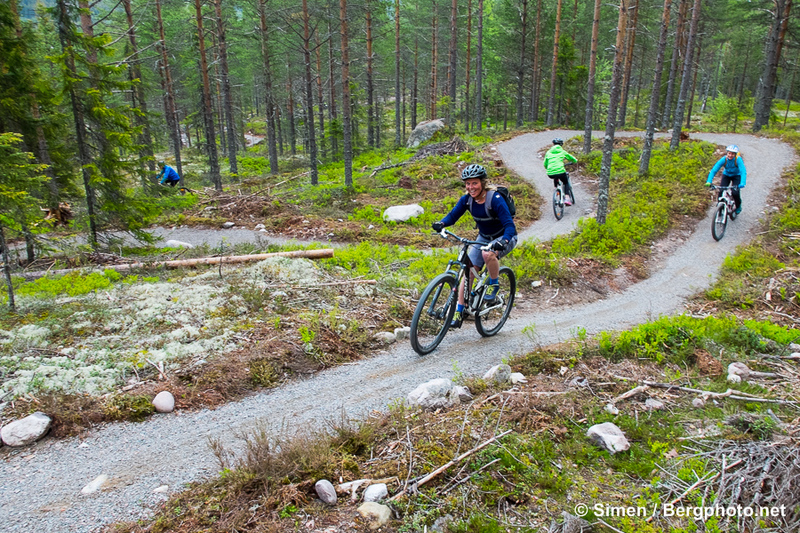 25 kilometers downhill, of which only 3 kms on gravel/tarmac roads. And only a couple of handfulls of climbing meters. From the Høgevarde peak you can enjoy a 360 degree view only surpassed by Gaustatoppen in southeastern Norway (straight to your west when standing there). You can also see Tryvannstårnet in Oslo on clear days. There’s just one short passage on the climb that’s a bit hard to climb, mostly because of loose rocks. 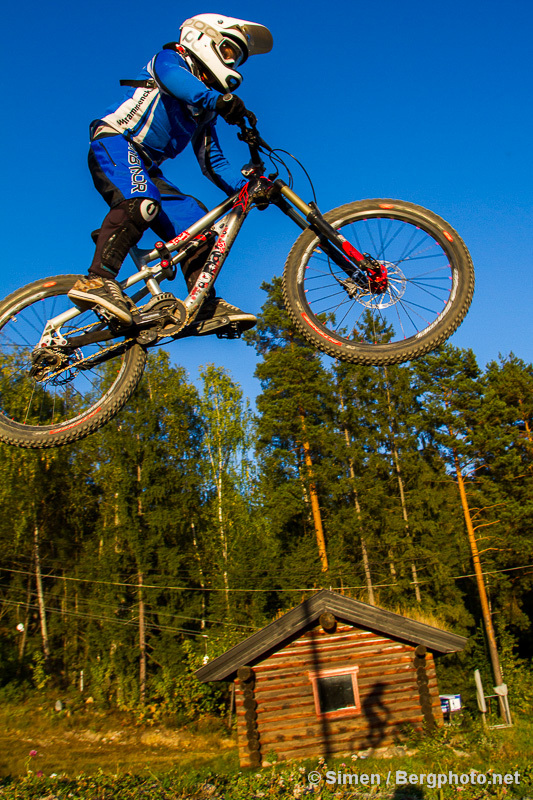 In other words, you’ll be fine on a 120 mm full suspension mountainbike. 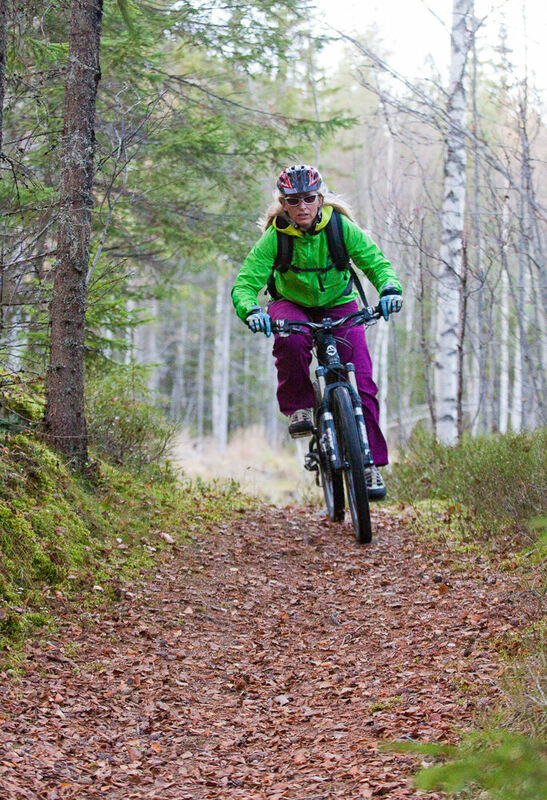 With more travel, you’ll obviously be more comfy at higher speeds back down the hill. A hardtail will also be OK, but not ideal. Additional protection other than the helmet really isn’t necessary, but I’ll wear light knee/elbow pads the next time I go (watch the video and judge for yourself). Two cars make the shuttling easier, but you might get a lift back to the top, or call the taxi (could be expensive). By car from Oslo, you go on E16 from Sandvika and Riksvei 7 from Hønefoss until you get to Noresund. Then you wanna take a look at the map and start planning. It’s 1.5 hours from Oslo, a little less from Drammen.